It’s been a couple of weeks since Microsoft officially announced its move to buy Yammer and already the $1.2 billion service has its first post-acquisition feature, as the professional social network introduced a Facebook-like chat service. The new feature sits on the bottom right side of the screen, allowing Yammer users to chat with others in their company network, in much the same way that Facebook users can reach pals on the social network. The messages exchanged are still grouped under the ‘private messages’ tab, but they also roll out into a more convenient chat window. As someone who has used Yammer, the addition of the chat feature addresses one significant pain point but, more interestingly, it could mark the start of greater things, once Microsoft-owned chat and video service Skype is integrated. We’ve already seen Google continue to push Google+ Hangouts by bringing them into Gmail, and — though targeting a purely business userbase — Yammer and Microsoft are going down that very same route. 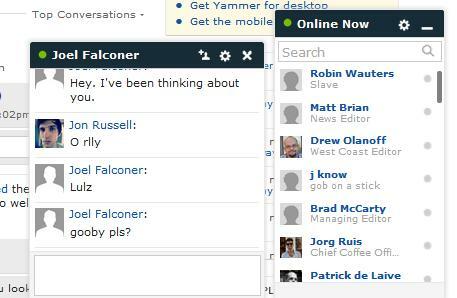 Yammer chat has been introduced quietly with no announcement, which may be due to the fact that the ink on the acquisition is barely dry and Yammer is in the process of being integrated into Microsoft. Equally, the Redmond-based giant has its hands full right now with its own pipeline of launches. Outlook.com, its new webmail product, launched this week, grabbing more than one million sign-ups within its first day. 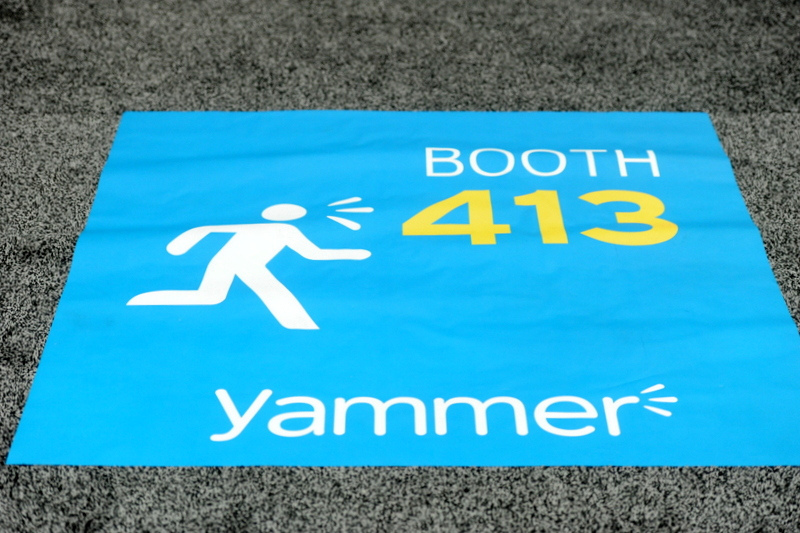 Yammer hinted that the chat feature was coming in a post on its feedback page last month, when a company representative said it would arrive “within the next month or so” – now the wait is over. Let’s see what comes next. I’d love to see improved real-time notifications, for one. “This week, Yammer began letting a small set of their users try a new feature that allows people to see who is available and instantly start a private discussion with one or more users. 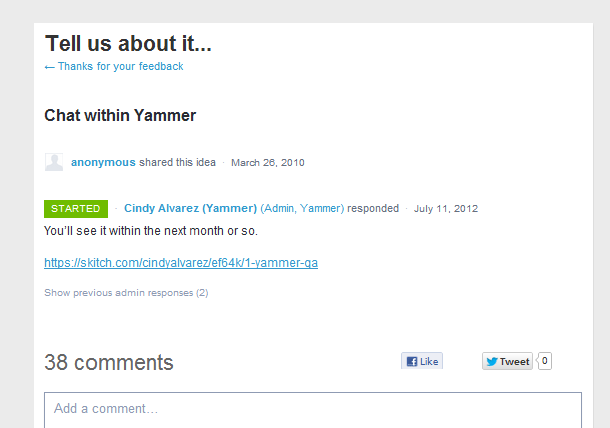 Microsoft is committed to continuing the pace of innovation with Yammer, and the new feature reinforces this goal.